From North to South Vietnam on a motorcycle, what better way to see a country that has been ravaged by war but still has an immense natural beauty and enlightened culture. 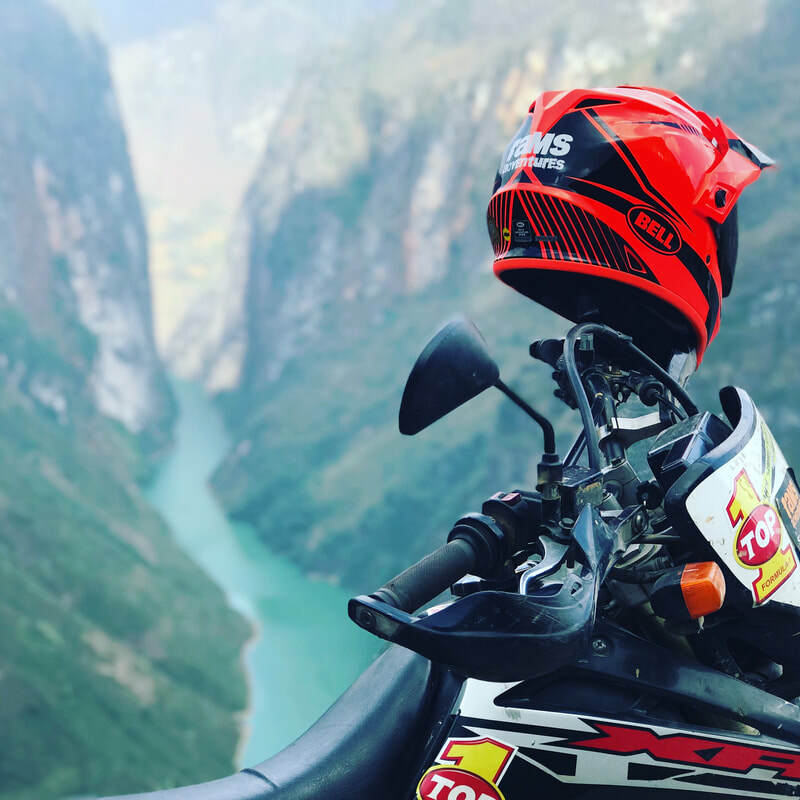 The Ho Chi Minh Trail Rider adventure takes you on a historic journey through some of the most infamous areas of Vietnam, from Hanoi in the north across the Demilitarisation Zone to Ho Chi Minh City in the south each stop has a story to tell. 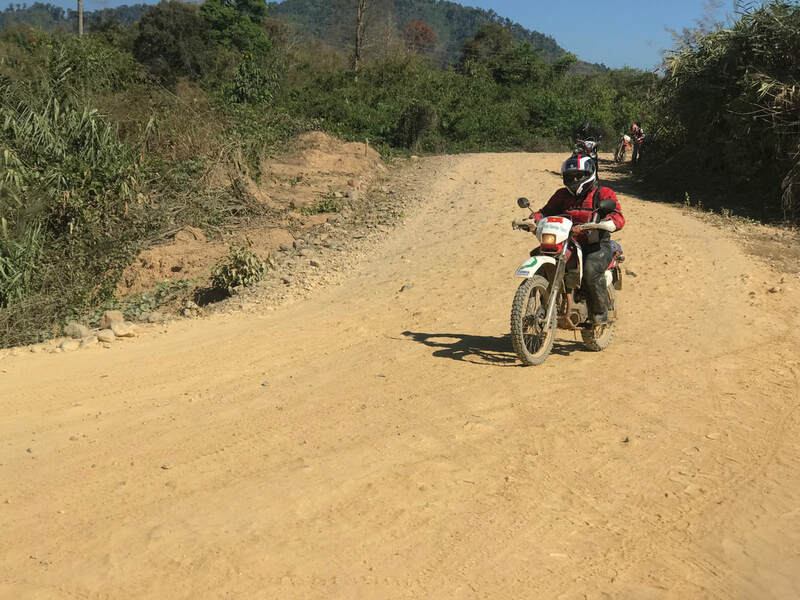 Ride along the Ho Chi Minh Trail an infamous trail used by the North Vietnamese Army during the conflict to transport troops and arms to the South without being detected. 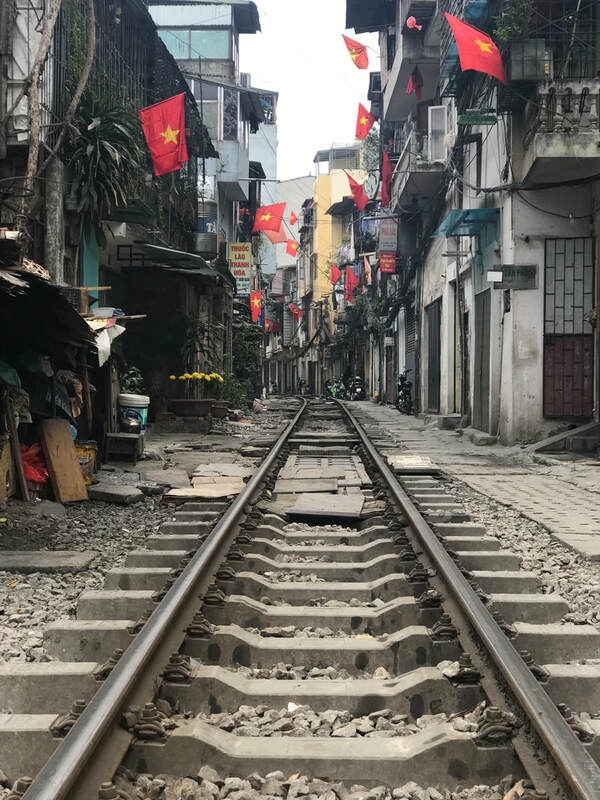 ​Take to your bike on this fully supported and guided adventure through Vietnam and marvel at how a country with so much beauty can reveal a dark past. Overnight Sleeper train to Dong Hoi - That evening we will catch an overnight sleeper train to Dong Hoi in the Central Highlands province of Vietnam, unload the bikes and following breakfast we hit the trails as our adventure begins. 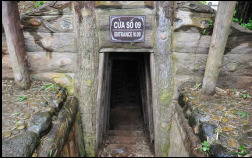 Vinh Moc Tunnels - A impressive network of underground tunnels, Vinh Moc is the remains of a Vietnamese village that in response to American bombing went underground. With two kilometres of tunnels over three levels its hard to believe that more than ninety families continued to live and work underground whilst the American bombs fell. 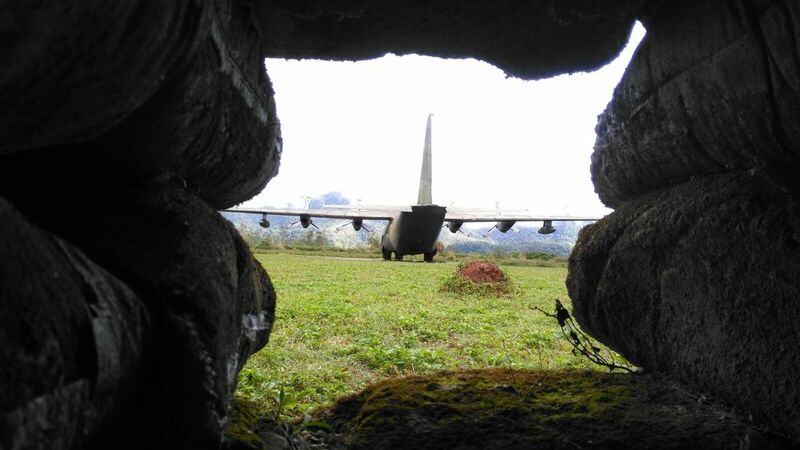 The Airbase at Khe Sanh offers a window into the year long battle and see even today abandoned C130 transporter plane still on the runway. Ride past Hill 937 or Hamburger Hill as it is now known. 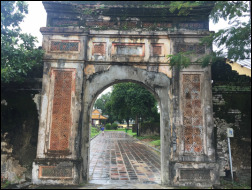 Explore the evocative walled city of Hue, situated on the Perfume River and see first hand how conflict has scarred the landscape, the bullet ridden Citadel holds many secrets. 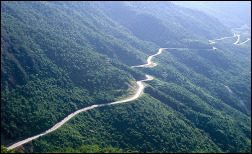 The Hai Van Pass is a ribbon of tarmac that has history, stunning vista's and is one of the best roads in Vietnam, just ask Top Gear. ​Day off at the coastal town of Hoi An, time to kick back enjoy this vibrant coastal town with obvious Japanese and French influences. ​Spend the day in Mui Ne, a vibrant beach town with fresh seafood restaurants, gift boutiques and a many bars along its beaches, sundowner anyone?? Arrive around midday into Hanoi, the capital of Vietnam which is known for its centuries-old architecture. We stay in the chaotic Old Quarter of the city with its quirky tall buildings and street traders the pace of life will amaze you. Tonight we will go to the Minsk Bar to meet the team and to enjoy our first beer overlooking the city. After breakfast the day is your own. Check out the downed B52 Bomber in the lake, the War Museum or the Ho Chi Minh Mausoleum. We will meet late afternoon to check out the bikes before they get loaded onto the Night Train. After dinner we also board the train and bed down for the night. Arrive at Dong Hoi the next morning around 7:30am. After breakfast we head toward the Vinh Moc Tunnels along the coast. These tunnels provided shelter to local farmers and fishermen that wanted a safe hiding place, so to avoid the US bombardment. 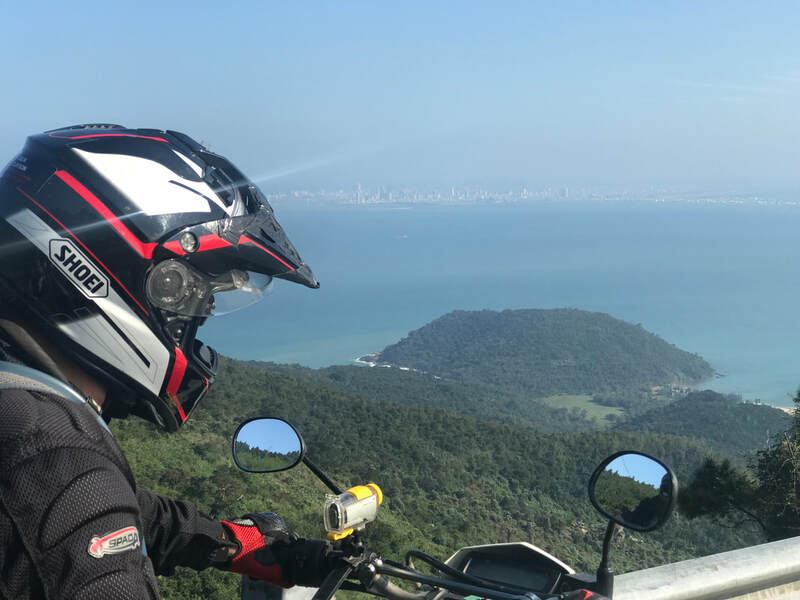 After a late start to visit the Citadel we ride ride along the Hai Van Pass, as seen on Top Gear, a mountain road with scenic beauty that will amaze you and together with its twisting roads will challenge any rider. The pass was controlled by the U.S army during the American war and what remains of the base, are still visible and open to explore. After a short coffee break we descend down the mountain and following the coastal road, which will bring us to Hoi An, where we stay overnight. This beautiful coastal town offers Japanese and French influences in both its cuisine and architecture. Get your suits, shirts and shoes made as the town is famous for its tailors. We are now in coffee growing territory so take time to enjoy a cup of Vietnamese Coffee. As we bounce off the Laos boarder we head further south to Pleiku which was rebuilt in the 1980's after total devastation during the American War. Nestled in the Central Highlands, Buon Ma Thout is a great place to stop and sample Vietnamese Coffee at its best. We head through the Central Highlands and reach the City of Love, Dat Lat. It is a popular destination for both locals and the French, due to its extraordinary beauty, majestic waterfalls and evergreen forests. It has always been a pleasant oasis for those that wanted an escape from the lowlands’ high temperatures. Kick back and chill in Mui Ne a vibrant beach town where you are always close to the beach. Following a dip in the ocean, why not head into the town and check out the gift boutiques or just chill next to the ocean....recharge and relax. Back on the bikes for one last time as we try and “sneak” into Ho Chi Minh City using back roads to avoid the infamous Vietnamese traffic. Tonight we take dinner and farewell drinks with our new Vietnamese friends. ​All tours have a team of mechanics who will ride with the group to allow maximum time on the bikes. Each evening the bikes are then worked on the ensure they are in tip top condition for the next days ride. ​Mainly tarmac roads with some easy to moderate mountain trails. 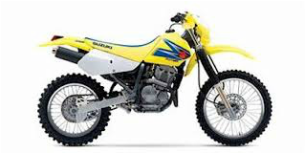 ​Easy road riding which can be suitable for pillion passengers. 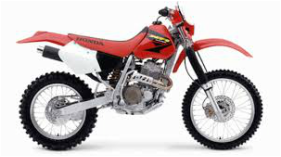 Some easy to moderate trail riding however there are alternative routes if required. Motorcycle Mounted Guide(s) and Mechanic(s).